Marshall’s football season is over. Okay, it’s not officially over. 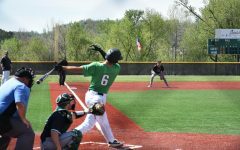 The Herd still have four more games left on the slate. But, at 2-6 overall, if the Thundering Herd lose one more game, they won’t have any shot of making a bowl game. That means they would have to run the table and win out, which is entirely possible. The problem? 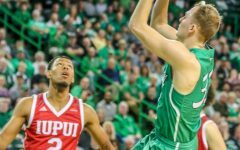 Big Green has to go on the road to face Old Dominion and Florida International, as well as face 6-2 Middle Tennessee and East Division-leader Western Kentucky to at home to close the year. Yeah, I don’t like those chances either. 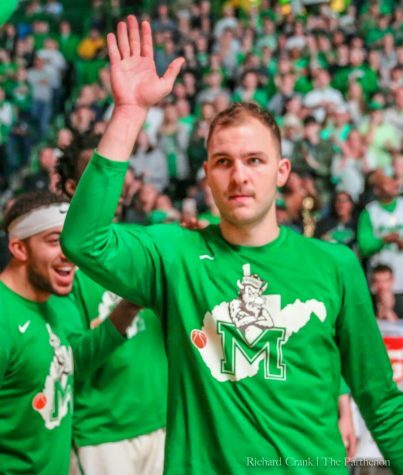 While it’s been a disappointing season in football, fear not Marshall fans. Dan D’Antoni and Matt Daniel are here to save the day. In just two days, men’s basketball season returns, albeit in exhibition form against West Virginia State. Nine days later, the women’s team tips-off their march to championship gold in Champaign, Illinois against the Fighting Illini. I say that not to pile on the football team. They’re trying, but it just hasn’t clicked and things have spiraled out of control. 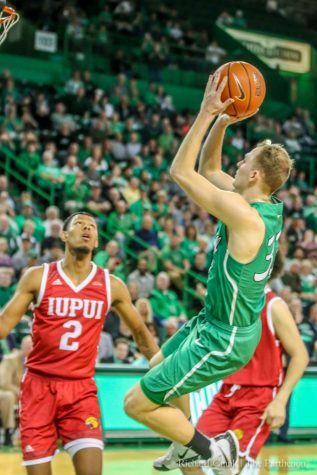 As a result, things just haven’t felt right in Huntington this year and fans and students alike haven’t had a lot to look forward to when Saturday rolls around. 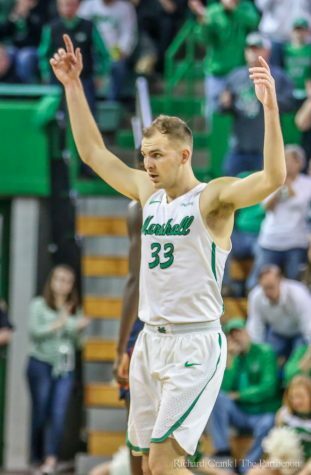 See, while the focus so far this semester has been placed on football and their struggles, the men’s and women’s basketball teams have quietly been building solid programs, both capable of making runs toward a Conference-USA championship and, dare I say, the NCAA Tournament. D’Antoni’s men’s team returns all but two players from last season. 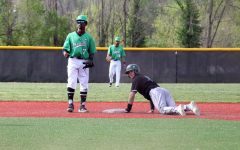 They exude confidence, thanks in no small part to the swagger their coach has. They score with ease, evidenced by their 86 points-per-game average from last season, good enough for third-highest in the nation. 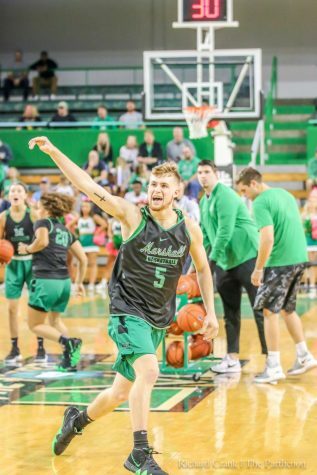 But, what excites the most about Marshall men’s basketball is their re-commitment to defense, something D’Antoni affirmed during C-USA Media Days. 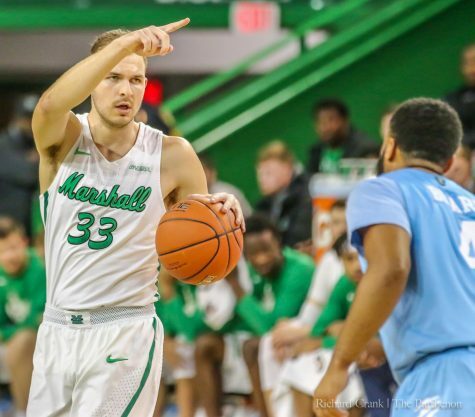 The Herd were 9-1 last season when holding opponents under 80 points, while finishing with 12 conference wins for the first time since Marshall joined C-USA in 2005. 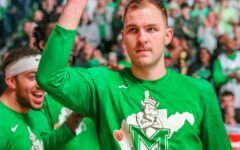 If the Herd’s defense improves from last season, expect that win total to go up. As impressive as the men promise to be, Matt Daniel’s women’s squad may be even more impressive. In each of his five seasons, Daniel’s teams have drastically improved. 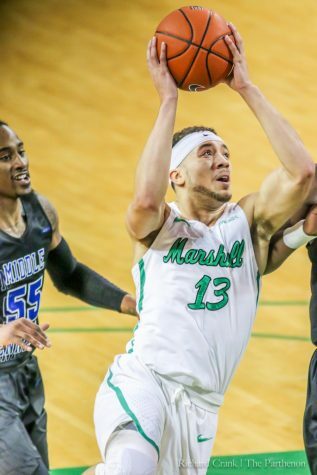 Just last season, he led the Thundering Herd to their third-ever trip to the postseason as an NCAA program, reaching the WNIT and winning 21 games, the most for Marshall women’s basketball in almost thirty years. Not to mention, they broke the school record for most three-pointers as a team, draining 219. 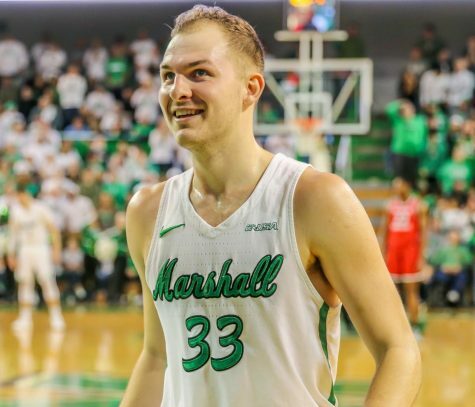 Oh, and under Daniel, they team has gradually increased its scoring output, field goal percentage, free throw percentage, free throws made, and assists. Now that’s what I call efficiency. 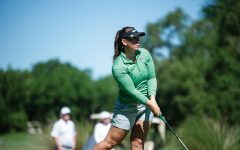 The women also possess a loaded roster heading into the upcoming season. 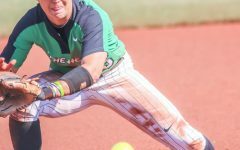 McKenzie Akers returns from the shelf, a season-ending injury doing her in last year. Sharpshooter Taylor Porter is also back, along with defensive stalwart Talequia Hamilton, who led the team in blocks last season with thirty-eight. So, fans, keep all this in mind over the next few weeks when you are looking for something to occupy your time. 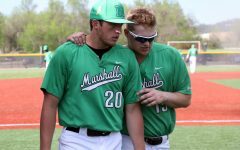 The football team may have struggled this year, but don’t get down on Marshall athletics as a whole. Because, those two teams who call the Cam Henderson Center home during the winter months are about to do some special things, and, if I were you, I wouldn’t want to miss that. You never know. You could be missing out on a piece of history.